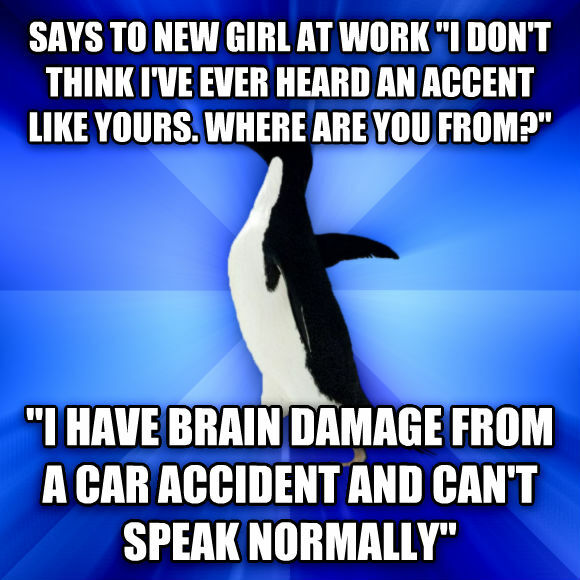 says to new girl at work "i don't think i've ever heard an accent like yours. where are you from?" "i have brain damage from a car accident and can't speak normally"